Moving home in Southampton, Hampshire? Watson Removals Southampton is a removals company based in Southampton which is committed to ensuring that clients in the Southampton and Hampshire, receive a removals service that is fast and efficient, allowing them to get on with their day to day lives and avoid the laborious administration tasks that come with moving house. 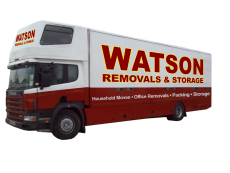 Customers that enquire with Watson Removals Southampton are entitled to a free quote, providing the reassurance that the work being undertaken is good value for money, and potentially freeing up parts of their budget to spend on the many other costs that inhere within the logistics of moving house. All of the staff hired by us are skilled professionals able to handle heavy or large items. Indeed, their experience in this area allows them to move items out of clients’ homes as quickly as possible without compromising on the safety of the items in tow. You can be assured that even precious, antique or particularly valuable objects are in safe hands, as the highly trained team are knowledgeable in the handling of such goods. As well as a very competent team of individuals involved in conducting house removals in Southampton, an excellent fleet of removal vans are used for every project. This ensures that your possessions are subject to the safest possible ride while in transit from one site to another. This is particularly important for precious or fragile items such as mirrors, paintings or pottery, and the skilled removals team endeavor to make sure such items are properly placed in the van before any attempt at driving it. On top of the help removing items from houses, the Watson Removals Southampton team is very happy to place your possessions precisely where you would like them in their new property. Indeed, we are committed to making sure that you do not have to exert themselves physically either before or after they have completed the call out. Indeed, heavy lifting is a skill best left to the experts, and our team is always on hand to rearrange things if they are not to the customer’s liking. To register your interest in hiring a brilliantly skilled team of professional movers for a removals session, and to receive a free quote, get in touch with Watson Removals Southampton today by calling 0238 168 0207 or dropping an email.